I find your articles very timely and easier to understand. I just read your review article on Profile tool plugin. Will you be able to write also on Qepanet plugin. Another area is snapping and topology options in QGIS 3.0. We find some of the options (like ‘enable topological editing’ option in 2.18) missing in 3.0. Are there any automatic snapping plugins available in 3.0 for perfect matching of boundaries of polygons ? Thank you Ramamohan! I’ll look into that plugin. 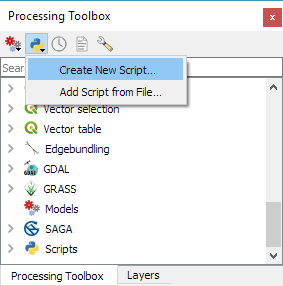 Snapping options are in the Project menu in QGIS3. Thank you so much, Anita! This is exactly what I was looking for. 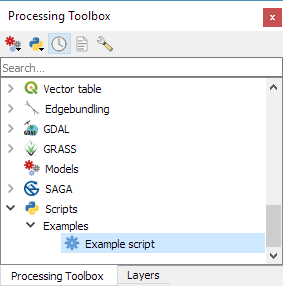 Do you know of any other resources for writing processing scripts in QGIS3 specifically? 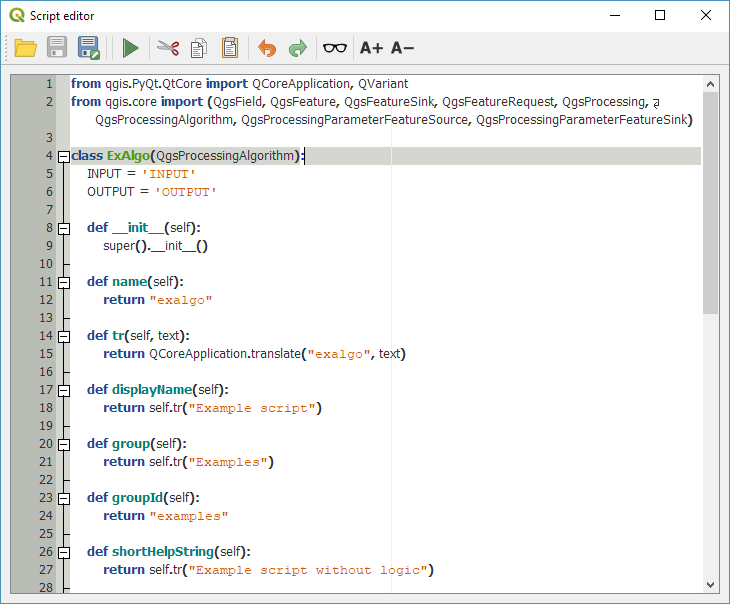 I’m new to writing processing scripts in QGIS and I’m finding a fair amount of stuff for how to do it in QGIS2, but not much for QGIS3. Thanks again, you’ve already been a huge help! Hi Phil! 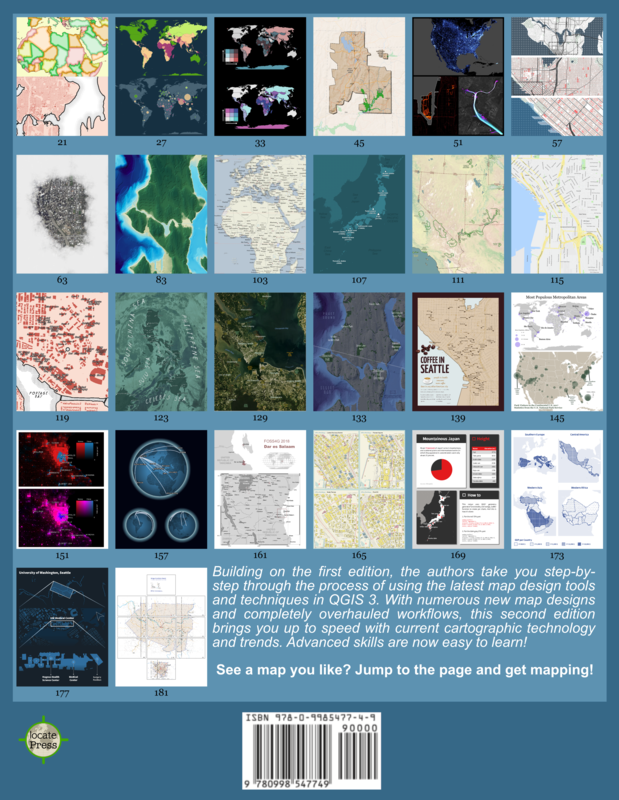 You might want to have a look at the PyQGIS API documentation at http://python.qgis.org/api/core/Processing/index.html. Beyond that, there are no Processing script tutorials yet. Thanks, this has been a huge help! I need to call an existing Algorithm to be applied to my current output, would you mind sharing some directions ? I understand this could be done through the modeler but my Algorithm really feels unfinished without it so it would really make more sense to have this external call included. very helpful – thanks for the starting point for processing scripts, since there is nearly no documentation at the moment about this. Thanks Stefan. In the next version of QGIS, a template will be included by default. Any idea of what I’m missing? Did you put START = ‘START’ before the init() function definition (on line 7)? Yes. I didn’t realize that the processAlgorithm function had to return a dictionary, even an empty dictionary to not throw that error. Still solidly in the front of the struggle bus, but getting there, thanks! 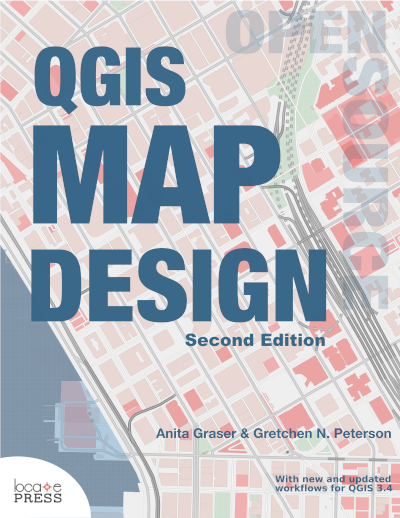 Is it possible to embed this application in QGIS 3?